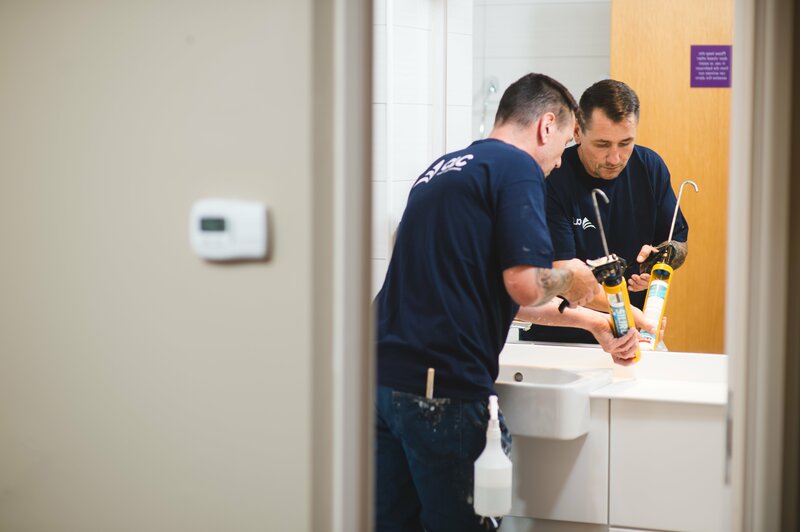 We currently carry out a rolling contract to refurbish bedrooms, bathrooms and communal areas at various Premier Inn UK locations. With over 65,000 rooms across 750 hotels, Premier Inn is one of the UK’s largest hotel brands. 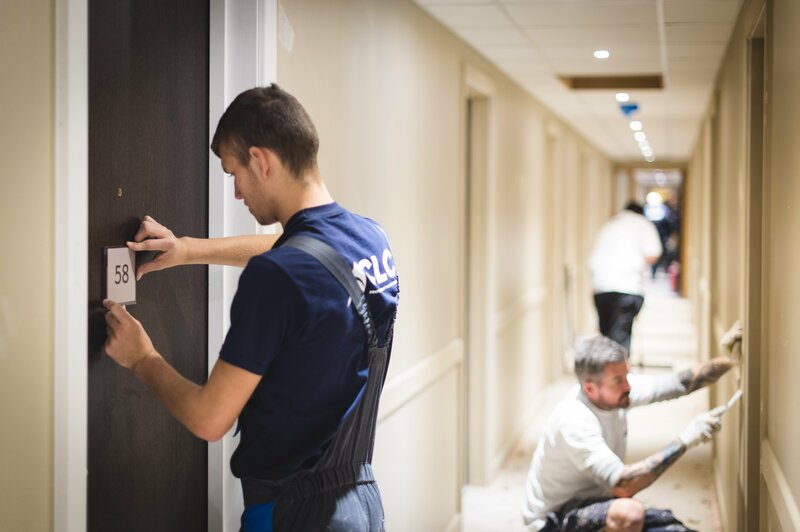 Since 2012, we have been working with them to refurbish and redecorate hotel suites and communal areas across their UK sites. We work with Premier Inn to freshen up their communal areas and give a new look to their hotel bedrooms. 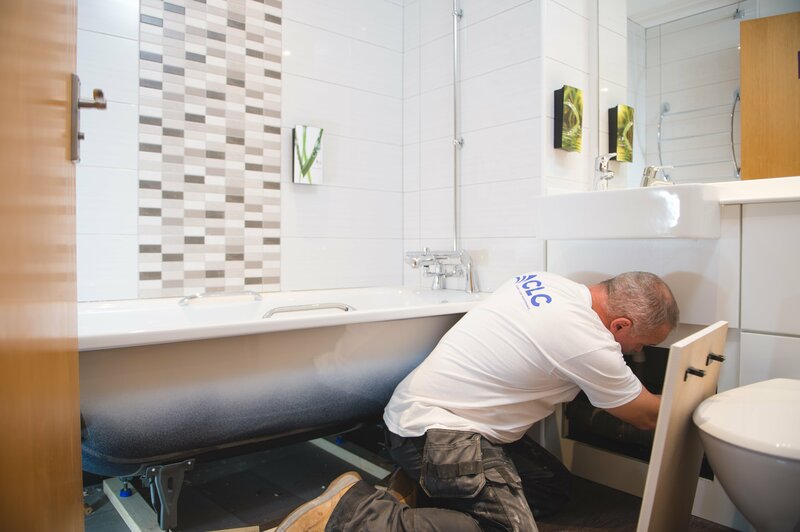 In fact, we have carried out over 21,000 room refurbishments in the last 5 years. 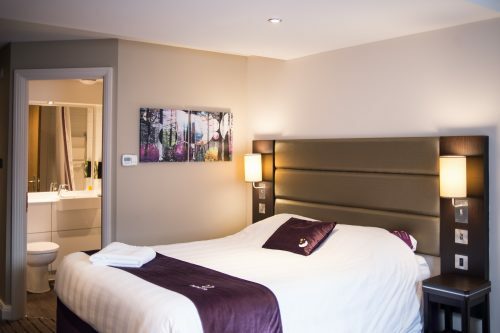 We share Premier Inn’s commitment to achieving outstanding quality and each and every one of the refurbishments we carry out must meet their, and our, high standards. 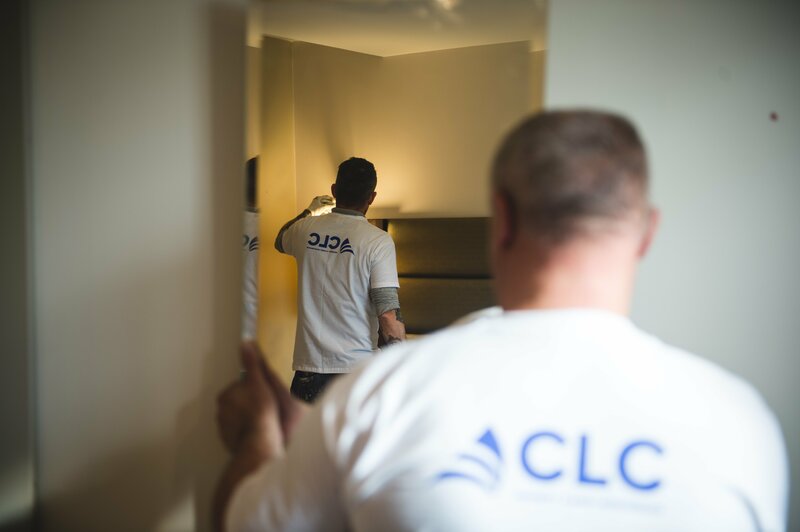 We have a strong team of directly employed tradespeople so when our client requires an urgent refurbishment project to be carried out, we are on site with our tools as quickly as they need us. We flex the number of trades we have on site to meet strict deadlines and get paying guests back into rooms as quickly as possible without compromising on quality. 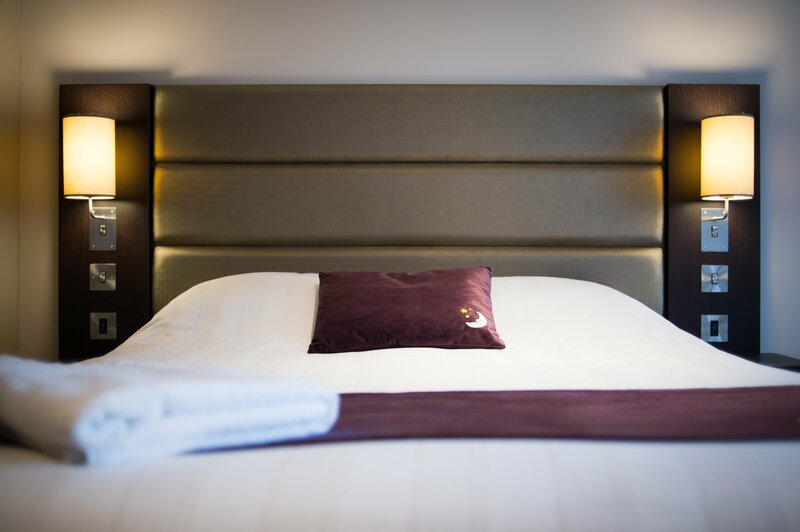 We know from our partnership with Premier Inn that guest satisfaction is crucial. Guests don’t want to be woken up early by drilling noises or hear hammering noises when they are eating their dinner. That is why we limit our working hours between 8am and 5pm. 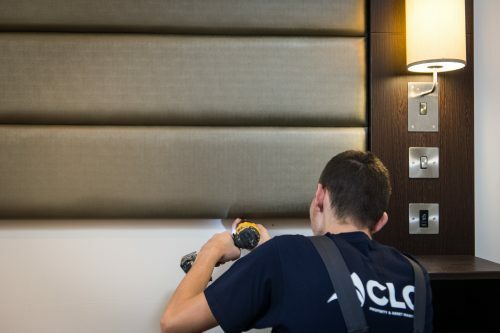 For large refurbishment projects, we tackle one floor at a time, allowing the rest of the hotel to remain fully functional. Works are planned meticulously to make sure the safety and staff and guests is a priority and guest satisfaction maintained. 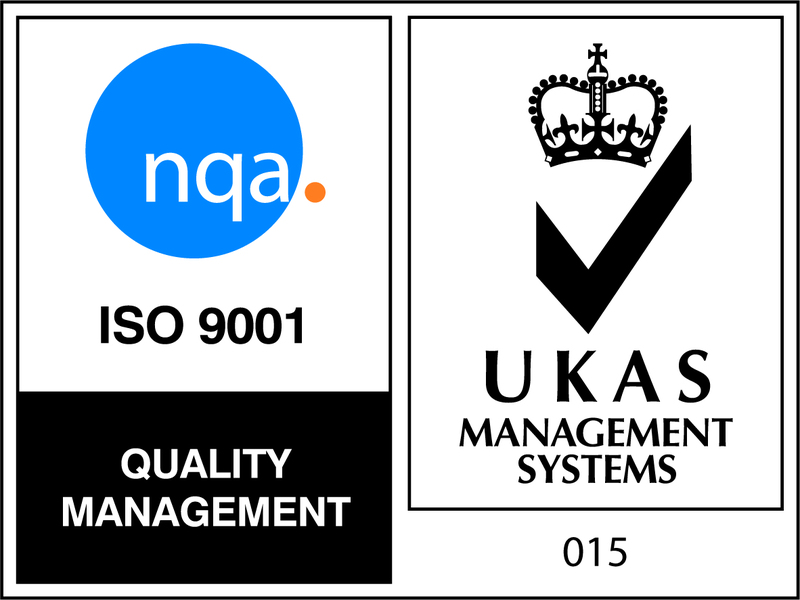 Premier Inn are delighted with the quality of work we deliver. They are especially grateful for the regular updates on progress we provide, as it allows them to start taking earlier bookings from customers where required. We embrace our partnership with Premier Inn’s and work with their Procurement Team to achieve best value on every project. We have suggested the use of alternative materials and provide feedback to drive improvement on further projects. Following the successful renovation of flood damaged Premier Inn in Carlisle within a short time-frame, we have since been awarded other ‘urgent’ projects across the UK. Premier Inn proudly support Great Ormond Street Hospital and have been raising money to fund a new state-of-the-art clinical building. It is a pleasure help raise money for such a great cause and we are always looking for new ways to support Premier Inn reach their fundraising targets. 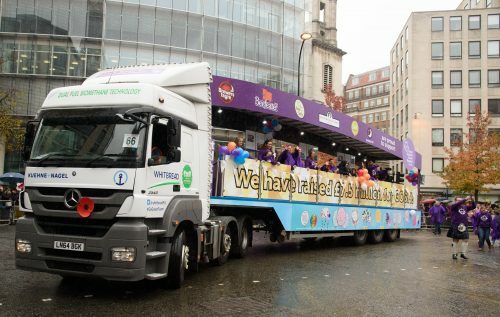 Every year, we build the float that Premier Inn (Whitbread) use in the Lord Mayor Show. Over the last five years we have sponsored Premier Inn’s Annual Conference, Golf Day and Clay Pigeon events as well as donating prizes for raffles.